Sheriff's Office Arrests Prolific Thief and Accomplice, LIVINGSTON, May 23, 2014 - On May 19, 2014, the Polk County Sheriff’s Office responded to the report of a theft of a 2012 Polaris Ranger and a trailer from Highway 190 West in Livingston. Video surveillance showed a white, Ford F150, missing a gas cap, being used to remove the Ranger and trailer from a storage unit without the consent of the owner. The Ranger and trailer were recovered later that day at a residence in Houston. The next day (May 20), an alert night shift patrol Sergeant observed the vehicle on FM 2457 and recognized it as the vehicle involved in the theft from the storage units. The sergeant initiated a traffic stop on the vehicle which displayed a Texas license plate that was registered to a Honda passenger car. The truck was also towing a black utility trailer. The driver, Scott Dean Sparkman, 33, of Livingston, was found to have outstanding warrants out of Harris County Sheriff’s Office for theft. His vehicle was towed and stored at the Sheriff’s Office impound lot to be processed by detectives. The passenger in the vehicle was identified as Kurt Halmich, 33, of Coldspring. Halmich was released. Scott Sparkman was booked in to the Polk County Jail and charged with no driver's license, display ficticious license plate, and had an arrest warrant out of Harris County. The arresting Sergeant contacted the registered owner of the trailer and found that the trailer was stolen from his property off FM 2457. 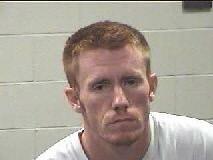 A charge of theft of property was added to Sparkman's charges. On the morning of May 21, investigators processed the vehicle in the impound lot and found methamphetamine and marijuana in the truck. 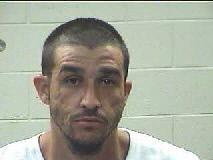 They also located evidence linking him to several other thefts which were reported in Polk County. Investigators were able to apprehend Kurt Halmich on the felony warrant at a residence in San Jacinto County. He was taken into custody, transported to the Polk County Sheriff’s Office and booked into Polk County Jail. Investigators interviewed Sparkman at the Sheriff's Office. Sparkman was cooperative with investigators after they showed him the evidence against him. Sparkman admitted being responsible for the Felony theft of the utility trailer the previous night and admitted that the methamphetamine and marijuana found in the truck belonged to him. He also confessed to the felony theft of the Polaris Ranger and trailer which was reported days prior and also of a felony theft involving a boat and motor from a storage lot located off FM-2457 and FM-3277.